Blackboard, chalk and duster all this stuff were replaced by e-boards and projectors in this 21st century and is an unusual change in the field of education and vouchers for the remarkable effects of technology on learning. Technology has influenced every aspect of life today, and education is no exception. Mobile technology is booming the world, and it is playing a significant role in the education sector too. The mobile revolution is now changing the education dynamically like never before. Smart mobile technology is transforming the way kids are getting an education. A decade ago, Education websites sprouted all over the internet; today it is the time for mobile education apps for smartphones and tablets which are championing the cause of boredom-free education. Mobile services are helping institutions to break the boredom and reach out to students and developers are discovering ways of building apps that can function as a part of the classroom. The role of emerging technology in the education of the future has brought dramatical changes in the whole education system. Emerging technologies in education can be much more and so much reliable than the stereotypical cell phone running off in the middle of the class. Both in terms, of pedagogical resources and connecting with the younger generations, technology is a significant tool. But we need to know how does this work? Here are the top concepts to understand when examing the use of technology for educational or institutional purposes. Active engagement with learning material: Technology is interactive, and students never learn just by blindly reading the documents. They do research and receive feedback. All these help students to be enthusiastic about what they are learning. For instance, if a student wants to study geography, then they use interactive software like Google maps or Google Earth rather than looking at an image. Discussion, debate boards and Forums: Students create web pages, online groups, virtual communities by using the internet or educational software tools which connect them in real time with students and teachers anywhere around the world. Using this the students can get the feedback, share questions and concerns about their lessons from their teachers. They can listen or read other’s opinions and feedbacks so that the students can refine their thinking, can reach higher levels of comprehensions and deeper understanding. Even this will provide the opportunity to interact with others around the world. Use real-world issues: This will help the student by comparing the real world issues that are related to the classroom curriculum. By this, the students can understand that lesson taught refers to real problems and real people. Modelling and Simulation: Simulation and modelling software, brings real activities to the classroom that are impossible to see without technology. The evolution of technology in the classroom brought many changes in the whole scenario of the education system. By using precise simulation tools, students can see particular movements like How dinosaurs live or how tornados develop. All this will help the students to understand the concept very clearly with dynamic characteristics of models. Formative Assessment: Teachers can ensure that students are learning with full excitement not only the concept but also emerging educational technologies and how they are being used. Technology focused activities mostly need critical thinking and problem-solving skills. Teachers work as facilitators by providing constant feedback encouraging the students to achieve deeper levels of understanding. If you an edtech based app idea, share with Krify, and we will create the best product for you that would undoubtedly create new milestones in the app world. We have an established track record of accouching successful apps and are one the ace education app development companies. Our ambidextrous and ever-energetic team of developers and designers do their best to create an app that is unbeatable in every aspect and also works hard for digital transformation trends in the education system. Talk to us here. We are in the world of technology and online platforms, the role of mobile application has increased in converting more difficult tasks to simple ones. Many of the companies like Yahoo, Snapchat, Starbucks, Target, and many more have been through a big PR disaster. Do you know why and how? Because of this some attackers out there found a flaw and could exploit it. There is a crowd of apps that get published every single day, and among them, most of the apps carry essential user information. These apps are exposed to hacker attacks that look for weaknesses in apps, tap into them and phish user information or implant a malware. Today’s people love to get advanced features in their mobile apps, and that’s why an app developer, you do not develop a mobile app. The mobile app developer should try to develop a mobile app that is useful and trustworthy. But the fact is that nobody thinks about mobile security or data privacy. While developing the mobile app developers have to keep the security concept in mind, if they want to build a better mobile app. App security is not a feature or a benefit. It is a bare necessity. If your app developed is not perfect when it comes to safety then users can refuse to download or use those apps. Nowadays the hackers are the main threat to your developed mobile apps. They can access personal and vital information of the mobile app users and spitefully use it. While you are busy in developing the most intuitive, innovative and exciting apps, security violations staggered up the cyber world and made off with millions of dollars. Therefore the mobile app developers should concern this main thing while they are developing professional mobile applications. As a developer, you can use advanced security options in your developed mobile app to overcome security concerns. “ One breach could take your company not just millions of dollars but a lifetime of faith. That’s why security should be a priority from the moment you start writing the first line of code. Here in this article, I mentioned the ten ways developers can build security in their apps. If you want your app to be free from hackers, then it is just to use the standard authentication. A known fact is that significant security breaches happen due to weak authentication. So maintaining a stronger authentication is a must for any app developer during app development. A developer must design your app having hard security codes written in a hard alphanumerical format that should renew every three or six months is one way to stay away from hackers. The developer can design the apps that can only accept strong alphanumeric passwords, even implementing the multi-factor authentication is gaining prominence that involves a combination of static password and dynamic OTP. You can take the chance of using the biometric authentication like retina scan and fingerprints. Mobile app developers love to prevent unauthorised access of their mobile apps by offering encryption concept while developing the mobile app. Before that, we look What is data encryption? Data Encryption is the method of transforming the data or private data of the users into code format that it cannot be read by anyone else without decryption. Every single unit of data exchanged can be encrypted will be the effective way and every developer while development of app must implement the data encryption process which controls the misuse of your app developed. If a hacker tries to hack the mobile applications, then by the implementation of this feature the data can’t get decrypted. Thus, it is an accurate idea to secure your mobile apps from hackers. Use best and accurate methods of solving/writing codes. To get rid of hackers, the developers need to use the trusted methods of writing that east high-security codes. All this need to ensure; because the hackers got prepared for the hard security codes. Try to compare the benefits of several cryptography protocols to avoid the security issues in your app development path. Present most of the companies are serving advanced feature cryptography protocols, so it entirely depends on you to pick the best protocols out of them. Likewise, you can stick to the trustable API for getting the perfect methods of writing/ solving codes of your developed mobile apps is the best way to beware of the hackers. If a hacker wants to break into an application, the starting points are bugs and vulnerabilities. The hackers will try to reserve engineer your system and temper with it; for this, they need a public copy of the app. So try to implement hard code that is not easy to break and follow the agile method of app development by that you can patch up and update your code on time. You can build some security codes which are updatable after its use. The developers thoroughly get updated with the best quality code for helping their users to avoid security issues in their apps. While developing the app, the developer should use the perfect and professional or well-known techniques for creating codes and better security in your created mobile application is the best method to use for getting the alert when the code is being changed or modified. It is a must thing to have a log of code changes to your mobile apps so that the malicious programmers cannot inject lousy code in your application. Tiggers designing is the best way to keep logs of activities or you can active tamper-detection can be deployed is to confirm that the code will no more function at all if modified. Choosing the third party libraries are also very much necessary for the app developers for code building. When selecting the third-party libraries test the code thoroughly before using it to the app as they are not secure. The flaws in the libraries can allow hackers to use a malicious code and crash the system. Developers should use regulated internal repositories and discipline policy controls during procurement to protect their apps from vulnerabilities in libraries. Sessions on mobile applications last longer than on desktops. Session handling is an essential feature while app development that needs extra precautions to make session handling harder for the server. Developers while developing the app use tokens rather than device identifiers to identify a session. Tokens can be dismissed at any time, making them more secure in case of lost and stolen devices. The app should also feature with remote log and wipe off options to protect the data of lost devices. Key management is the must if your encryption efforts have to pay off. Need to ensure that your critical cryptographic protocols like MD5 and SHA1 have proven insufficient by the modern security standards. Try to use encrypted protocols like SHA256 and AES for the best protocols out. Always use the latest and trusted encryption methods. Least privilege principle tells that the code should run with only the permissions, i.e. the code should be given only to the limited number of people who are intended to receive it. The app should not request for any more privilege than the minimum required for it to function. If the developer wants to access the user’s gallery, then ask for that. Don’t make unnecessary network connections. Try to run the network as simple as possible will enhance security. Security for the app will never end. Day by day security phases are changing and so as the upgradations are coming with the security trends to protect your app. Using security patches in your mobile app with each new version and update released will serve useful. Always you should choose for the penetration testing and emulators to get a clear view about the vulnerabilities in your mobile application so that they can reduce further. Therefore the mobile app developers can follow the above ideas for making the mobile apps free of security or hackers issues. The above guidelines will help you to hold your app security tight as an oyster and keep your clients and users happy. In these modern days, there is an ultimate need for cybersecurity and hence the need and importance for the various standards for mobile app security. Soon security will act as one of the differentiating and competing in the app world with customers preferring secure apps to have the privacy of their data over other mobile applications. Krify is one of the top leading Web and Mobile app development company in the UK and India; we have hands in developing the websites with all the trending technologies that rule the world today. We establish the apps with all the security measures that protect from the hackers. For more reach us now. The banking and financial system has encountered an extraordinary revolution with the transfer of upgraded and advanced technologies. The arrival of innovative techniques such as the Internet of Things, the Block Chain Technology, the entrance of the various cryptocurrencies, the Fintech and digital transformation etc. have all shared their role in this escalation. Assume you are paying for your shopping at some shop while paying that shows your debit card was declined. Ouch! Many thoughts will run in your mind like someone hacked my bank account? Is there something wrong with my card? Is it an error on my side or the restaurant? Theirs begins your investigation, either you will call your bank and wait for the customer help representative to assist you. All the while you are panicking and imagining. There is an easy way to deal with this! There is! If your bank has a mobile app. You can cross check your balance within 10 seconds; no waiting on the phone, no unnecessary heart palpitations, no extras stress! Mobile Applications have provided so much to simplify many aspects of our daily lives. The above point that we should all agree. Proof of this is that the constant rise in the number of mobile app users over the past few years. So is carrying this kind of technology to the financial sector advantageous? The answer to that question is honest. Yes, there are so many roles that can be incorporated into a mobile banking app to expedite the various services. Most of the significant financial systems around the world have already begun offering internet banking and now mobile banking app services to their customers. According to Gartner, 25% of the top 50 global banks have native mobile banking facilities. Mobile banking is not only just limited to developed nations; even countries like India and China are also boosting their economies through mobile banking services. As more and more people are opening accounts and getting close with the banking system, the future of the mobile app banking looks to be bright and productive. McKinsey pointed out that the current banking system is increasing at a slow movement with over 37% population using it, despite the mobile app banking has reached out to 50 % users on the other hand at the same time. Why would you develop a secure mobile banking app? When it comes to banking, details are vital and because there are so many functions that need to be just perfect to run correctly and smoothly. The primary reasons for developing the banking app is to simplify the involved amount of work and also to simplify the complexity of the work. Let us check some other points what the benefits of developing the banking applications are. Nowadays people can use iPhone and Android devices, and the apps are created especially for these devices prioritising simplicity while developing the Mobile Banking app. The user experience with the mobile banking apps counts and these applications are straightforward when it comes to usability. The user can perform a particular action without any problem. Imagine a world without mobile banking apps. Well, that was not that much hard to do as it was the case until recently. Mobile banking apps have enabled the clients as well as the bank employees to save a lot of time, that usually spent standing in queues. The mobile banking app development has brought drastic changes. Now, most of the transactions are done online to save time. In reality, when mobile apps are not in use, the customer needs to go the bank to make any particular payment or carry out any transaction. In such a situation, the charges on the customer will be very high compared to the use of the mobile banking app. A few years back internet banking is considered as a revolution. The range of changes it made to the banking industry had not reached the customers in comparison to mobile banking and this is because internet banking required a computer and also good internet speed. Whereas for a mobile app you need a smartphone or a tablet. The connection of the internet has come a long way with Wi-Fi technology. The one-stop shop to avail all banking services is the banking mobility solutions. You can operate many accounts and services like various schemes, transfer money to someone, receive money, deposit fund, apply for loans, check balance, get the mini statement and get support from customer service in case of any issues. Finally, you fixed to develop a banking app, but do not get excited just by setting to create the mobile app for the bank and dive straight away into the development process. It is a good idea to take one step at a time. So for this first, you need to define the target audience. Getting familiar with who your target audience is imperative. In today’s scenario, mobile banking apps usage is not just limited. There are other millennials also relating to different age groups who are interested in using banking apps. Security is the priority thing to list in every mobile banking app development. It is a must one to integrate into any banking app development. For instance, where N numbers of users will be precisely securing their complete confidential data such as ATM card details, Credit card details and online passbook. Despite, Statista indicated that 72.7% of Americans are worried to use mobile banking apps because of the security issues. So you need to eliminate this concern factor by providing them with a robust, secure mobile banking app that cannot get hacked easily. So you need to take some essential steps while implementing the security features in your banking app. Thoroughly access and examine the app security terms and conditions to ensure that they keep strict vigilance and control on how the application is getting operated on the network. Need to have the configuration of the application servers. The spam emails and phishing emails should not send to mobile devices. Your app needs to be updated at regular intervals. You need to implement the latest trends and technologies accessed mandatorily. Make to get notifications regarding this to the users. Developing the right tool to check the strength of the password. The power of the passwords is difficult to crack. In the actual case, the secure password length varies from six to ten characters. But as it is a mobile banking app, the minimum length of the password should be not less than 12 characters and must be a mixture of small, large caps, special symbols and numbers. Need to send regular emails and SMS to the users to get allured by fraud calls, emails, fake prises and rewards that ask the users to share their bank and card details. Let us check our blog: How Much does it cost to develop Uber-like App? The custom mobile banking app solutions aligned with customers’ specific requirements, and not with the general application. Depending on the demands various types of mobile banking apps are there that support you in picking the functional scope for your mobile banking app. Customizable Alerts: Using this we receive text, email and push notifications such as account alerts, bill pay reminders, security alerts and many more. The cost of developing a secure mobile banking app will entirely depend on a concept and unfold essential mobile banking features. The mobile banking developers will closely work with your subject matter specialists through the whole development process to convert your idea into a well-thought mobile banking software. The mobile app developers (Android Developers and iOS Developers) will ensure the smooth integration of your app with other banking systems. After delivering a ready to use app will guarantee its maintenance and support. The above all mentioned factors will determine the cost of developing a secure mobile banking app. Apart from that, various other factors are deciding the cost of the projects such as platform, number of features, app design and others. When starting a collaboration with a mobile banking app, developers always remember to engage security experts with the experience in the financial domain and invest in preventive security measures. The mobile banking took the chance of having drastic changes in the way the people used to avail the services. Mobile banking apps have grown tremendously to reach different sections of the people. They can receive many benefits and also make payments in real-time without any hassle. To still the banks are working hard to intensify and increase the security and also trying to add more amenities in the existing list. If you are in search of an adept mobile app development company to develop your mobile banking application at most affordable rates, Krify is here to assist you in the best way who is the leading Mobile App development company in UK and India. Our knowledgable and skilled team of developers will create tailored mobile banking software solutions with the highest security measures to empower your customers to conduct financial transactions from anywhere at any time while blocking hackers from intercepting sensitive data, then reach us today! Do you still remember those days when people would eagerly wait for the daily newspaper every morning? Some people would wait for the newspaper holding a cup of tea, or some may be so addicted to it that they would begin their day with paper in one hand and tea on another. First comes first see, they will first go through the essential headlines to get familiar with what’s going in the domestic and international round. Later after the 2000s, the electronic media came to the scene with a flood of news channels that run 24*7. Anyhow time has moved; literally, those days have passed away, and most of you are aware of the original reason behind this; the advent of news and newspaper has caused a prime setback for the print media industry. Now, let’s get this into more profound insights and put some numbers and stats to demonstrate how even the big bosses like ‘THE NEW YORK TIMES’, ‘THE TIMES OF INDIA’, ‘THE GUARDIAN’ have seen the slump in their readership. Basing on the Pew Research Center, there is a fall in both the circulation and income of the newspapers in the United States that is declined by 10% in the weekday. Likewise, if we consider India, the reader has decreased as per May 2017 report of the Audit Bureau of Circulation(ABC). Even the story is the same for European countries. Statista shows that the total turnover of the retail sale of the periodicals in the UK has gone fluff significantly in the last decades. As such it was about 3971 million GBP in 2008 which then declined to 2718 million GBP in 2016. Let’s analyze how news-based apps and social media forums have played a key role in converting the readership of global audiences. According to one of the open data, around 67% of the Americans collect news from social media. Besides, if we perceive the percentage of news app usage in various countries, then Sweden tops lists with 37%, followed by South Korea and Spain with 33% and 27% respectively. Before getting into the details of features and discuss the monetization strategy of the newspaper apps, it’s crucial to first look into the two types of news apps. These type of news apps will cover all the incidents that happen all around the world. Aggregator News Apps are widely favorite amongst the users as it makes them aware of the world happenings with just a few taps. You should also put in mind that the news content to be displayed should be very important that must create some interest to read the news. 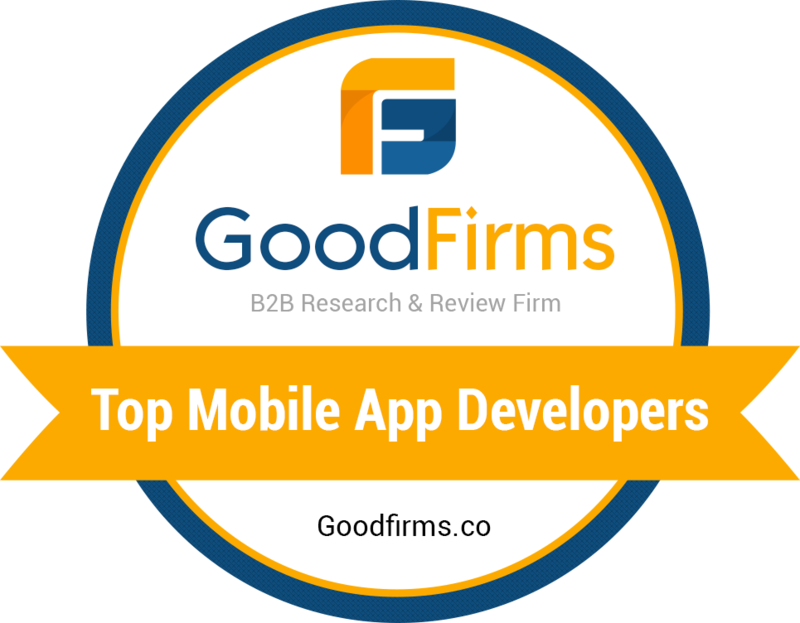 You should be very particular that your app would be paid or accessed free of cost. Even though the story can be of political, crime, business or any other, you can also inform the user about the significant events and exhibitions that held in various cities. These type of mobile apps for news resources are proven to be more beneficial for newspapers owners and also for web media. You can have the newspaper app development version for your daily. For instance, ‘The Times of India’ has done to improve the number of readership across the globe. In this, the reader will get real-time news updates. It also has the option for their choice of interests such as some may have the interest to go through the sports while some may have curious to know what’s new in the business section world widely. In general election 2019 with a few months away, the news based apps are going to grow up as far as the downloads are concerned. With a news app development that has a broad reach, there will undoubtedly be a boost in your audience. How to Monetization Newspaper app? The idea behind the development of a news app is about being engaging to users and clarifying their questions. The main motto of these apps is not just covering the regional news and events, but to broadcast the real-time updates from all arena of sports, fashion, lifestyle etc. Ensure that the news is continuously monitor ing and is getting published on your app with authenticity. How to develop a Newspaper App development? Determine the requirements very clearly scratch to the deadline of the project to deploy. You must ensure the documents are adequately maintained. App developers will create the prototype of each of the app screen. The app design quality will entail a user-friendly interface. The UI/UX designers will maintain a clear and simple navigation system. Once the designer part completed, then the development team will come into the scene who work for the back-end app, and mobile app developers will begin. The mean stack developers will start coding for the smooth operation of the app. Then comes the QA expert team take over the job who check the coding and the functionality of the app to ensure that the app is as per the client’s requirement. Finally, after the app is tested, it will be released to the app store. If you are clear with the development process, then you can go for how to grab the skilled app developer? The cost of news app development would depend on the number of factors such as the platforms to develop: Android, iOS and Windows with precise navigation, selection between native and hybrid, appealing UX/UI design, categorisation, and also choosing the app development company. The news that every age group of audience is connected as it comprises a variety of niches. The news incidents remained the same, but the news format has changed and become more digitalised. News app will provide any information in real-time, and its popularity and demand are heightening with time. The time has come to you should look forward to developing a news app, and if you are in search of a budget-friendly and reliable partner, Krify is here to assist you. Reach us today. We are the leading news and magazine app development company in UK and India.